(18+ to enter) WIN AWARD WINNING WINE VALUED AT OVER $500! Pinot Shop is giving you the chance to win award-winning pinot noir valued at over $500 from the 2019 Tasmanian Wine Show. 2017 Bay of Fires Pinot Noir TROPHY Best Pinot Noir. 2017 Pooley Pinot Noir GOLD MEDAL. 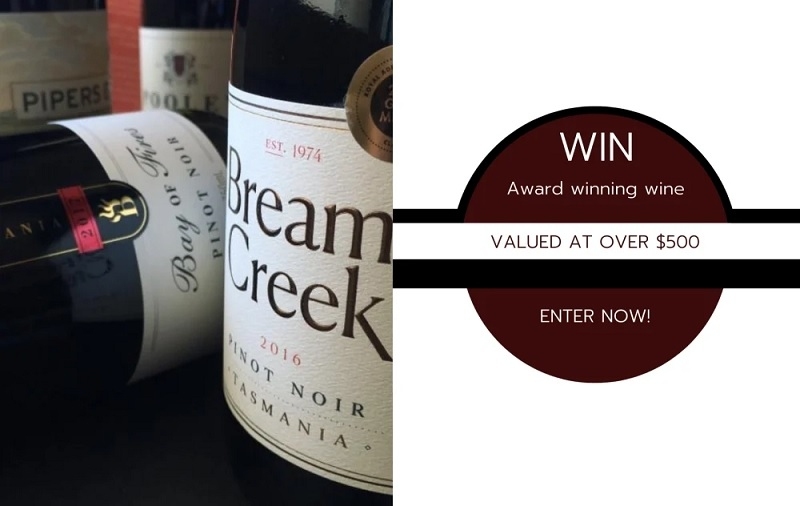 2016 Bream Creek Pinot Noir GOLD MEDAL. 2017 Pipers Brook Estate Pinot Noir GOLD MEDAL. 2016 Six Friends Pinot Noir GOLD MEDAL, TROPHY Pinot Producer. 2014 Dawson & James Pinot Noir TOP GOLD MEDAL.